An accessible hands-on look at using Flow, the static type checker, and integrating it with a Babel workflow. Isomorphic, modular, provides a React-like API, and clocks in at 9KB. It’s slightly larger than Preact but claims better performance. 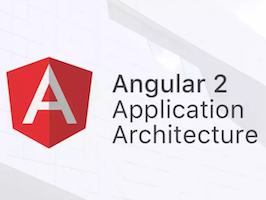 Nine days of in-person workshops on Angular 2, React, WebVR, Redux, Async, D3, WebPerf, Ionic, TypeScript and Halogen presented by industry experts this March in San Francisco. Early bird tickets are almost gone. Spoiler alert: it’s Vue.js, Svelte, and Conditioner.js (a conditional module loader). A straightforward, good looking, vanilla date and time picker. Also available as Vue.js, React, Ember and Angular components/addons. Works in both the browser and on Node and uses the highest resolution timing options available. Serious about performance for the web? Benedikt argues that we need to start judging browsers “by real world performance and not their ability to game four year old benchmarks”. Tell your stories with code at Twilio’s SIGNAL conference on May 24-25 in San Francisco. Learn why React creates powerful, consistent customer experiences across both mobile and desktop.